SWIMS encourage you to seduce the rain! 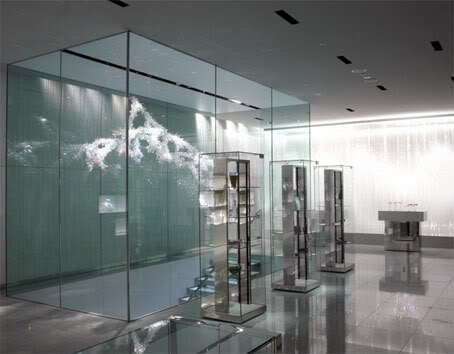 Swarovski flagship store in Ginza (Tokyo) is opening tomorrow (29 March 2008 and Tokujin Yoshioka has posted the above previews of its interior in his official website. 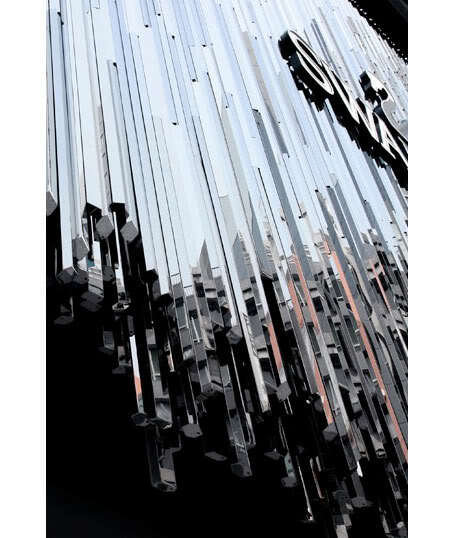 Highly visible, more than a thousand Swarovski boutiques and concessions are located in all major fashion capitals around the world. 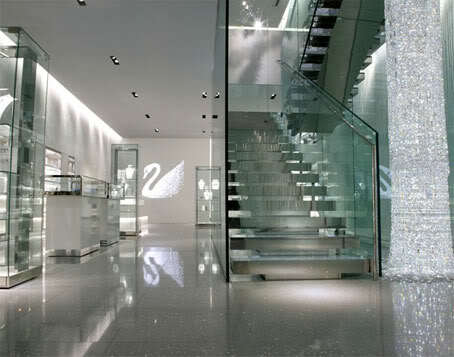 Now, Swarovski will be opening a new flagship store in Tokyo’s renowned Ginza district on Saturday, March 29, 2008. 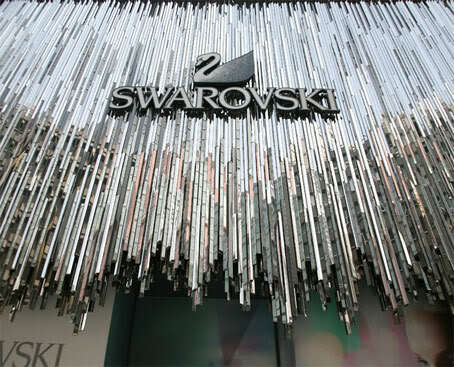 It will showcase the entire Daniel Swarovski Couture Line and the jewellery and accessories from the Swarovski fashion collection. 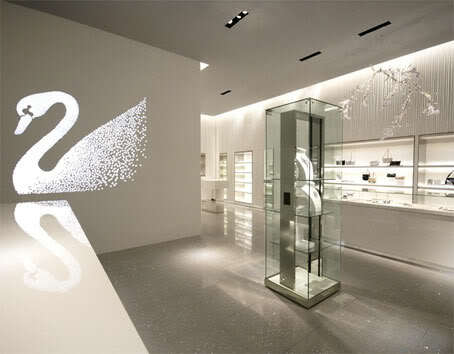 Three exclusive Ginza limited edition pieces will be available at this particular flagship store: the Black Elvis Pendant, the Signature Necklace and the Signature Power Evening Bag. 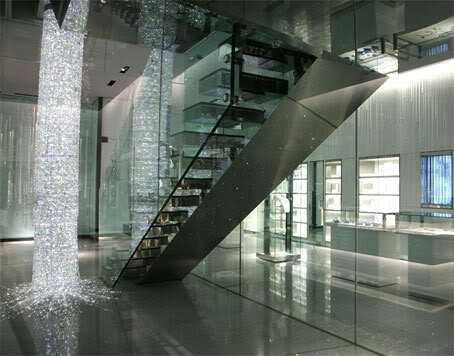 Modelled on the flagship store, all of the other Swarovski boutiques will be refurbished from 2008 according to the new architectural concept. 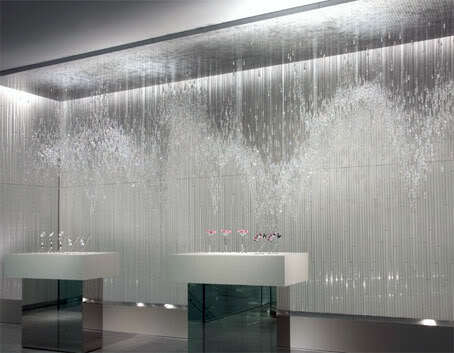 These new design concepts have resulted from the collaboration between Swarovski and the famous Japanese designer Tokujin Yoshioka. 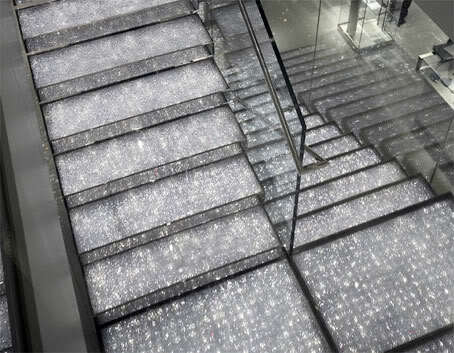 Inside the Ginza boutique the “Crystal Forest” comes to life. 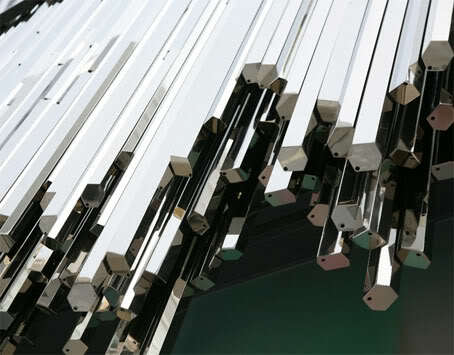 All of the walls are textured with reflective white relief prisms of various lengths. 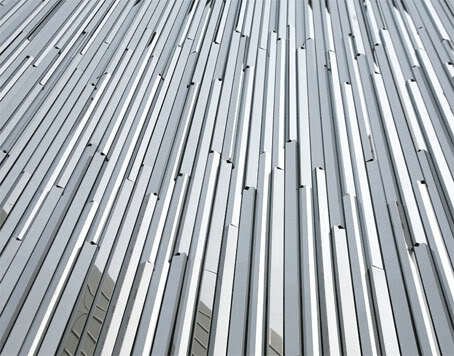 These faceted, multi-layered elements create visual depth and exude an internal rhythm. 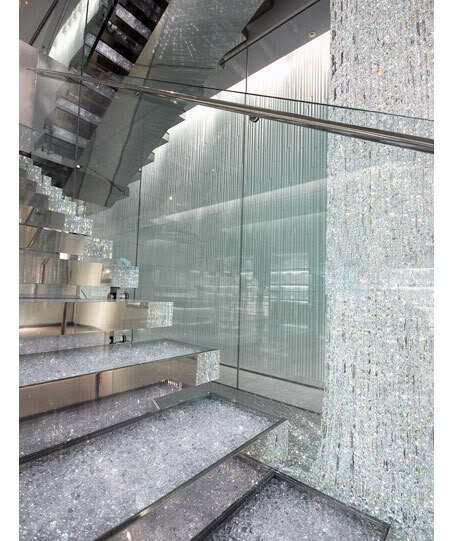 For this one-of-a-kind boutique, named Swarovski Ginza, the conventions of design are challenged by bringing the “inside to the outside”. An experience to embrace when in Tokyo!